So, on the coconut site, I have been messing with plugins, theme settings and some SEO stuff as well as placement of adverts and affiliate stuff. Nobody will find this stuff but here it is for a convenient link for me. 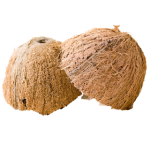 The site just has some general stuff about coconuts and coconut products. The rest of this text is just coconut related filler to keep an plugin happy. It requires that I write some minimum number of related words before it thinks I have a coconut’s chance in hell of getting noticed. You can overdo it as well. high keyword density will make google suspicious. It is not at all clear how much stuff it needs to be really happy so here is a third paragraph to help it on it’s way. Did you know that coconuts are not nuts? The plugin needs three hundred words to stop moaning at me so I need to carry on. Not everything has to be about the page subject but it helps. This plugin also looks at my writing style and gives it a readability score. Short, simple sentences are best. Keep things easy for the reader. Well, back to the thing about them not being nuts. Botanists would tell you that a coconut is a drupe. Whatever that is. I suggest asking wikipedia. Another thing the plugin wants is some links to the outside world. So you can go to the coconut site or you can look up coconuts on wikipedia or the coconut research center site. That looks like some kind of web site experiment as well. Ok, so now I have a few more words needed to reach the 300 word limit so I will add some links for recipes. They are always good since everyone loves food. Don’t they? Try the BBC and food.com. No reason why – they are just on the first page of search results. At last – I can stop work on this post. It now gets all the bullet points green. Enough already.